One of the best parts of having a green thumb is being able to offer fresh produce to family and add it into homemade meals. 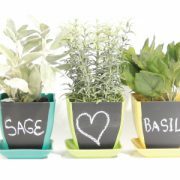 Growing indoor herbs is a year-round hobby that is easy and adds beauty to the home and the homemade dishes. Before Planting: When planting from seed, plant the seeds in a seed-starter soil mix. Use small trays, jars or bins, as this makes it easier to start multiple different kinds of herbs from seed at once. Planting: After planting the seeds, place the tray in a warm room, but out of direct light. Cover the trays with plastic to keep the soil moist, but once the seeds germinate, remove the plastic and move the tray to direct light. If you plan to grow your herbs naturally without artificial lighting, the best place to put them is on a windowsill where the window is south-facing. This will allow for the most sun exposure during the day. 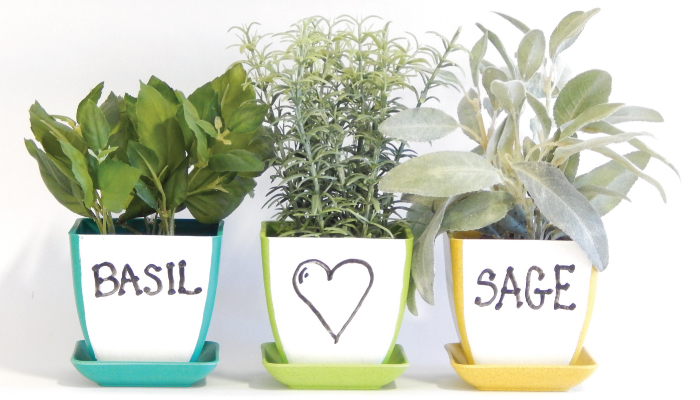 Watering: When it comes to caring for your indoor herbs, take care to not overwater. When watering, ensure the soil isn’t constantly moist. The herbs should be planted in a mix of soil that creates a loose, fast-draining environment for the herbs. Allow for the soil to become completely dry between watering. Fertilizer: If you want to give your herbs a little extra quick, you can fertilize them up to twice a month with a regular houseplant fertilizer. Days to Maturity: If you are growing an herb for its leaves, such as basil or mint, pick the leaves from the stem before the herb flowers. If you are growing a flowering herb indoors, such as lavender, pick it before the flowers are fully open. Harvesting: The best time of day to pick herbs is early in the morning, which is when their fragrance will be the strongest. When it comes to harvesting time, don’t be afraid to cut the herbs. Many of them grow back quickly and benefit from frequent pruning. Tips: There are countless kinds of different herbs, all with different scents, tastes, appearances and difficulty levels. However, many kinds of herbs that are staples in culinary dishes also are easy to grow. 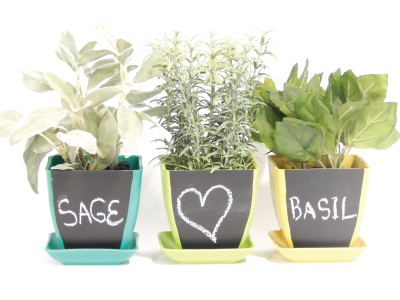 Some easy to grow herbs include: Basil, Parsley, Chives, Lemon balm, Cilantro and Thyme. Instructions for Herb Kits: Drop soil pellets into each pot. Slowly add water to each pot and allow soil to fully expand. Place over sink as pot will leak slightly. This is to help with the drainage so plants don’t get over watered. 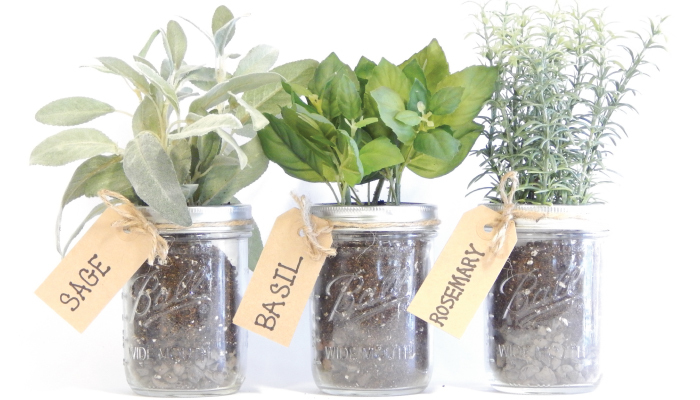 When soil is fully expanded drop a few seeds of your favorite herbs directly on top of soil. Push seeds down 1/8-1/4″ into soil and then cover with damp soil. Then watch them take off! Location – A sunny window or outdoor ledge. Herbs need 6-8 hours of light for best results. Watering – Do not overwater. This is the most common problem when plants die. Water so that soil is moist, but not damp. Water every 3-5 days or when soil feels dry to touch, but do not let it completely dry out. Fertilizer – Add a general purpose 5-5-5 fertilizer when plants are 1 month old. Use fertilizer instructions for quantity. Herb Seed Quantity per Container – Basil (3-5 seeds), Parsley (3-5 seeds), Cilantro (10-15 seeds) and Rosemary (4-5 Seeds). Soak rosemary in water 24 hours before planting. Rosemary takes 14-28 days to germinate so be patient.